Since almost everyone has had to buy car insurance we all probably have heard and learned a number of myth-conceptions about car insurance. A good auto insurance agent will explain your coverage to you but many people think they can bypass the agent and do it all online or with someone at a 800# in India to save a buck. But 15 minutes could cost you a bundle. Don’t wait till after an accident to find out you don’t have the coverage you thought. Truth: Car insurance is designed to pay you (or your bank) the fair market value of your car. If you owe more on the car than it is worth, you are responsible for the difference. Even if the loan is paid off, you still have no car and will probably have to find money for a downpayment and get a new loan to buy your replacement car. Be careful when buying a car that you don’t pay more for it than it is worth. PS. If it costs more to fix your car than it is worth, the company will ‘total’ it and usually offer you the chance to buy the ‘totaled’ car back for the same price they can get for it from the scrap yard. Truth: Going a few months without insurance may keep you from having to pay premiums but when you reinstate your policy, you will probably have to pay a higher rate due to the lapse. This higher rate, over the course of a year, could be more than your savings. 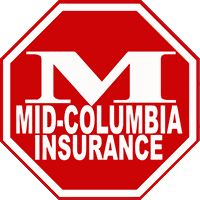 Have your agent work up a quote for you as if you were starting over today and had not had insurance for a few months. Make an informed decision. PS. If you drop your insurance and are still driving, you could get a ticket which will cost you more than you saved or, even worse, get in an accident with no insurance. Don’t take the risk. Insurance is important and no matter what the ads say on TV, you don’t want to be doing it yourself or with someone in a huge call center. Work with an agent to find the coverage you need and all the discounts you qualify for. Never make assumptions about what your car insurance covers. As we said earlier, if it only takes 15 minutes, what you don’t know could end up costing you thousands.